The West Beach Hotel boasts 52 spacious, modern rooms. Our aim is to provide budget Brighton hotel rooms without ever compromising on quality and a high standard of cleanliness. The majority of our rooms have been completely refurbished. All rooms boast a private, en suite bathroom, cable TV, bedside telephone, a desk and a chair, and tea and coffee making facilities. WiFi is available for all rooms and public areas. You can choose between one of our spectacular superior rooms with sea view, or one of our comfortable group rooms, for example. 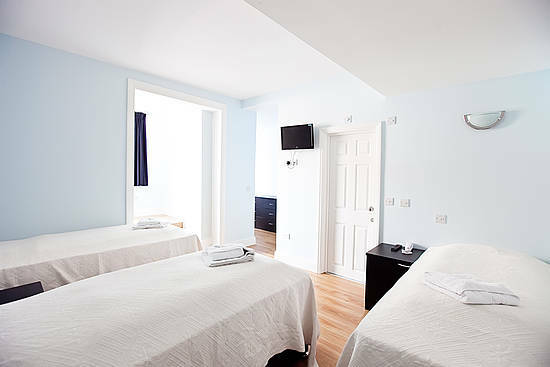 Our Single Rooms are the perfect choice for those looking to enjoy Brighton on a budget. Whether for business or pleasure, you will find yourself welcome at our centrally located Brighton hotel. Perfect if what you come to Brighton for business and you just need to stay over somewhere central, this is your best option. The ideal choice for romantic breaks and couples getaways, all of our Double Rooms are complete with a private en suite bathroom, cable TV, tea and coffee making facilities and more. You can choose between a room with a comfortable double bed or a room with 2 single cozy beds. It is the perfect choice not only for couples, but also for friends wishing to enjoy the Brighton night life. 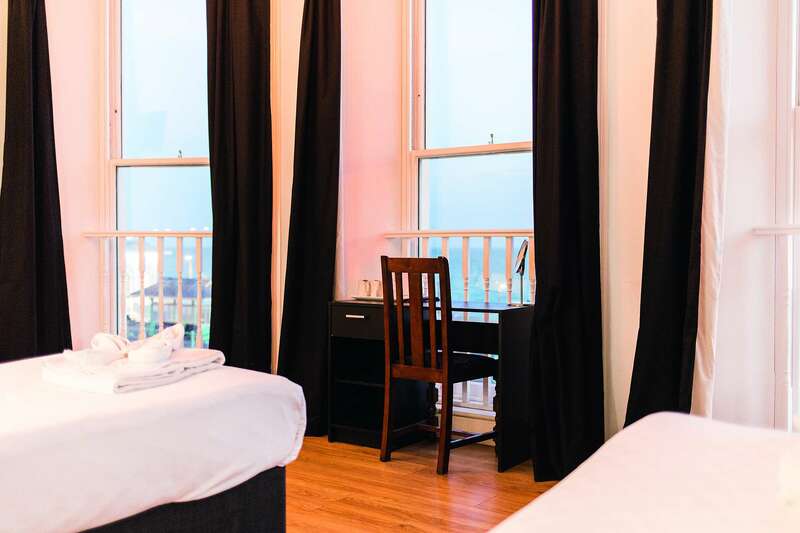 Staying in one of our Superior Rooms, you will admire the i360 British Airways tower, the old West Pier and the long promenade just checking out of the windows. We highly recommend to check the availability of our superior rooms, because it will make unforgettable your stay in Brighton. Be stunned admiring the views in one of our fabulous superior rooms, and make unforgettable your stay in the West Beach Hotel. 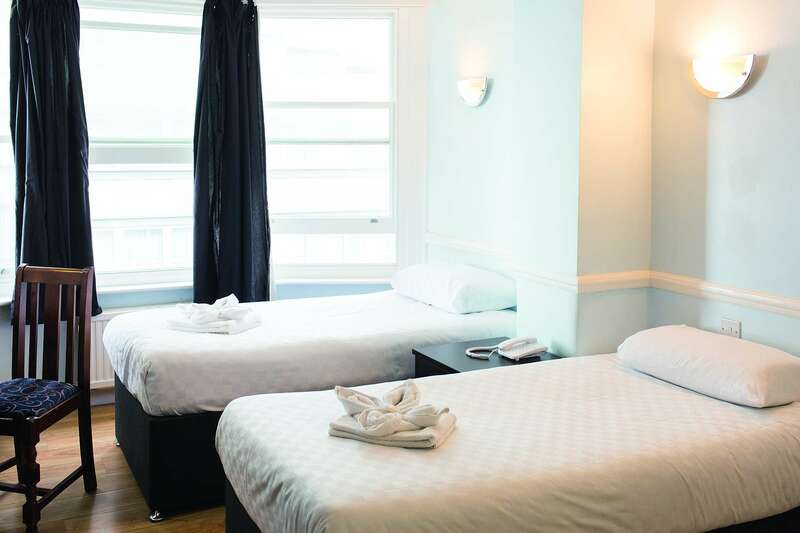 While many budget hotels can't cater for odd-sized groups, the West Beach Hotel offers a range of unique triple rooms in the heart of the city center, for a very affordable price. Our triple rooms are perfect for groups of 3, or for larger groups needing to make up an odd number. The majority are equipped with 3 single beds. However, we are more than happy to arrange for a double and single bed, on request. 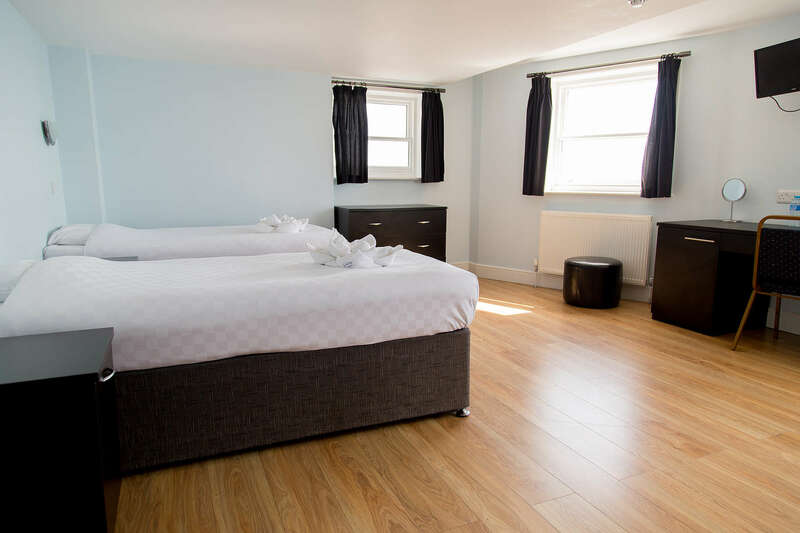 If you are planning to visit Brighton with a group of friends or with your family, why not enjoying your stay in one of our Superior Triple rooms right at the seafront? Our spacious Superior Triple Rooms allow an astonishing view over the sea and make your stay in Brighton remarkable. Give yourself an upgrade and enjoy Brighton with the people you like. The West Beach Hotel has 7 quad rooms, ideal for families of 4 or large groups, such as hen and stag parties or just groups of friends on a weekend break to Brighton. All of our quadruple rooms are really spacious and airy. You can find them for a budget price, you can just call us asking for prices and special offers for groups. With a 24h reception, guests can come and go as they please, making our quad rooms perfect choice for groups in Brighton. 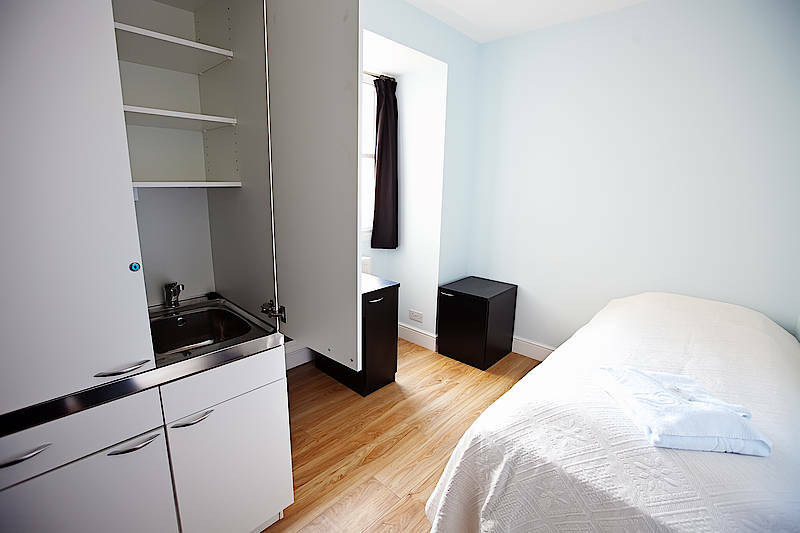 You can use also on request the kitchenette, with microwave, sink and cutlery. © 2019 iSt In­ter­na­tio­na­le Sprach- und Stu­di­en­rei­sen GmbH. Alle Rechte vorbehalten.